The Dutch are turning fast food into superfood with the new “weedburger.” And although the name’s double meaning is no doubt an effective marketing technique, the weedburger isn’t made of what you think. From bun to burger to the special sauce, this burger’s from “the kale of the sea” — seaweed. The entrepreneurs who started Dutch Weedburger spent years researching and developing (and making a documentary about) a palatable burger recipe made with harvested sea salad. The company says its burgers are “100 percent plant-powered”*: The patty is made from kombu seaweed and roasted soy, the bun contains chlorella (a micro-algae), and the sauce is encircled with Dutch sea lettuce. The Weedburger is currently served in 70 restaurants in the Netherlands, and the company is aiming for 700, and to kick-start a stateside startup, soon. Thinking even bigger, it hopes to launch a new era of sustainable ocean agriculture: seagriculture. Kulsdom has a fair point. A study conducted by researchers at Wageningen University in 2010 led scientists to believe that seaweed could be an answer to reducing ocean acidification and helping to solve a global food shortage problem. A bed of sea lettuce of approximately 180,000 square kilometers (about 70,000 square miles) could provide enough protein for the entire world population. 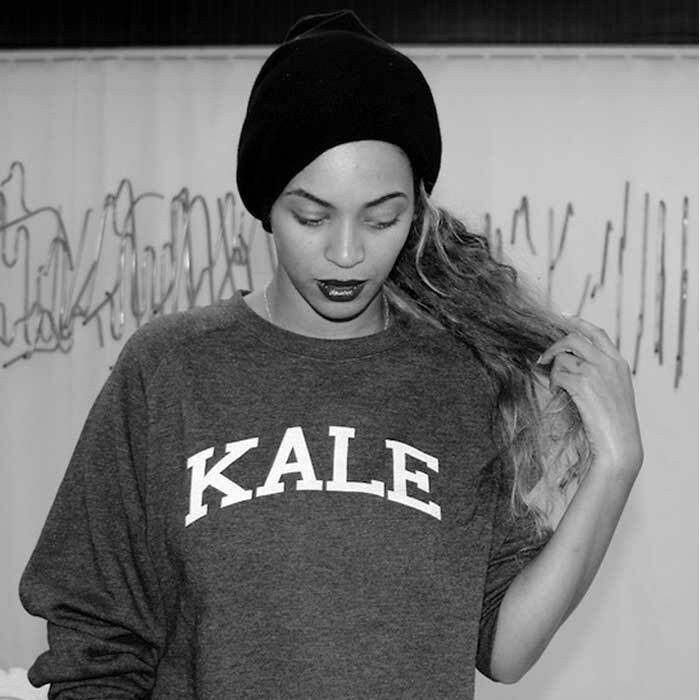 Damn, kale of the sea is right. Has anyone told Beyoncé about this? She may need a new sweatshirt. *We know, we know, oceanographers, botanists, and biologists: Seaweed is, technically, algae.